Well, it’s that time again. Time for me to start cursing the week long stretches of 100 degree weather and start longingly looking at the autumn decorations that have taken up residence in my local Target. They are really just taunting me because I know full well that the summer weather will be here through the end of September and very likely into October. BUT the weather here in Texas cannot stop me from getting those lovely “change of season” feelings that only aisles of new school stuff can supply ( pun. intended). We’ve only got two more weeks of “Summer” before the new year begins. I honestly can’t believe it! 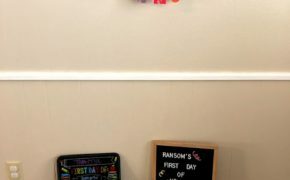 I can’t believe that our first “real” summer ( which to me, means that you’ve “earned it” because you went to 5 days of school all year long-which Ransom most certainly did!) is almost at a close! It really was a good one and I’m going to take a minute tonight to review it so one day I can look back at what a summer with a 6 year old, 4 year old and 19-21 month old looked like. 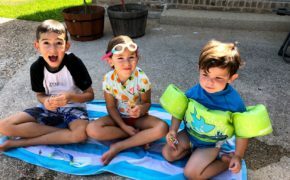 The biggest winner in regards to this summer was definitely that my children are getting a little older… I truly truly could not be happier with how things are “going” in regards to my children growing up! It is TRULY the BEST! Babies are cute and all, but little kids?!?! So much better…..Also, sometime in May I had a lovely little correspondence ( as in REAL LIVE LETTERS) with a lovely lady who’s son had just gone through his first year in college. It was a fun little juxtaposition- our two firsts- mine of kindergarten and hers of college- and I felt like I gained much from her thoughts. One thing I took into my summer was how she had wished she’d had more of the simple pleasures with her son and so this summer I practiced saying “Yes” a lot more. Of course, I feel like that as my kids grow up, I CAN say yes more! So, it really was perfect timing for this little reminder. I said “YES” to going to the pool. Now that Ransom is officially a swimmer, Tabitha can officially stand up in the shallow end, and Justice can officially fit his juicy little arms in a Puddle Jumper, I am feeling a lot more relaxed about going to the pool. Thanks to my Always Packed Pool Bag* sitting by the back door and my Always Full Snack Bin* sitting nearby ( this is important because Justice feels that he must eat at least 4 snacks while at the pool or he hasn’t truly lived), I have a trip to the pool down to a 10 minute art. Of course, I have to gear myself up for the baths and then wet towels when we get back home again, but for me the pool will always be a happy place, and I’m glad my children are making good memories there too! I said “YES” to spontaneous adventures. This one was super hard for me. Anyone who knows me, knows I am the least spontaneous person in the world. I love me a good plan and a good check list. But this summer, we jumped in the car and visited close-to-us adventure places that I had never considered before and we had an absolute BLAST each time! Which brings me to…. I said “YES” to missing naps. This is mostly because Justice is an easy baby-something I haven’t had a ton of- but I’m loooooving it now that I have it! And he’s also getting older. Hey, Moms who have babies, don’t worry! It WILL eventually END! I PROMISE. There is a light at the end of that very dark tunnel! Anyway, Justice missed countless naps this summer, or he had incredibly late naps in his carseat- and, guess what?! He is NO WORSE FOR WEAR! Hallelujah! I said “YES” to popsicles. This is mostly because Justice became OBSESSED with them and asks for one MULTIPLE TIMES A DAY ( don’t worry, I only cave once a day), but also because this was part of my philosophy that my kids need to be kids and have some fun in the summer. I’ll let you know if this effects their dental report in October. EEK! But until then, no regrets. I said “YES” to not having my children. Obviously for Brett and my trip to San Francisco which was ah-mazing, but also my parents have been asking to have a “just Tabitha” trip for a while now and I finally said yes to that this summer. Tabitha was away from us for 4 days and while it was hard, it was really amazing how much extra capacity I had to play and spend time with my boys. It was also cute to see their relationship change and deepen a little bit ( Ransom chose to sleep in Justice’s room while Tabitha was gone and my two little morning people were so cute it almost made my cold-hearted-night-person self melt). And as always, getting your kids back after any length of time separated is such a wonderful gift in gratitude. I said “YES” to some screen time. I only say this because at the end of the school year there were articles circulating my social media feed like crazy about how screens were going to literally KILL MY CHILDREN. I, of course, took heed and immediately made plans to bane all screen time from our lives for the whole summer. I started to feel guilty for any and all time my kids spent watching a show…. But then I started to look around- EVERY. WHERE. WE. WENT. 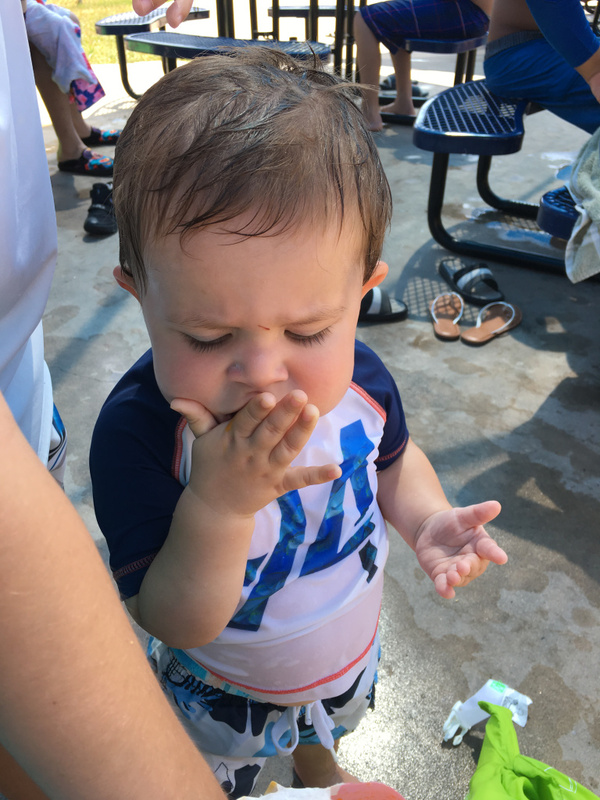 this summer there were kids looking down at iPads, iPhones, kindles and whatever else….head down at the splash pad, head down at the grocery store, head down at the museum, head down, head down….it was scary. We were even outside riding bikes early one Sunday morning and someone stopped on their morning walk to comment that our kids weren’t playing video games….considering what I’ve seen this summer, I would have noticed too! That said, it made me realize that the 40 minutes ( one 20 minutes show per older child) was not going to kill us in the morning. In fact, it was going to allow me to read my Bible in peace. 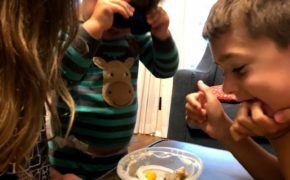 This way I can pray for the coming generation…because seriously, who is going to be friends with all our kids when they want to have a conversation or they want to look around?!?! So there you have it!!! I said yes a lot more this summer and I said “no” a few hundred million times too! So don’t worry ? In fact, with some sicknesses and job worries plus working hard to get my book published this fall-there were times I really felt like I was “failing” this summer! But there is NOTHING quite like taking a look back and giving yourself a back pat what you did accomplish and forgiving yourself for what you didn’t. Personally, I can hardly WAIT for fall….cooler weather, a new fresh start with school years, aaaaaannnnnnnnd my BOOK RELEASE!!!! Watch this spot! Announcements coming super soon…. * Packing your pool bag packed and getting a bin of snacks ready are two things that make summer possible in our house. I recommend you join in on this little trick and there are plenty of awesome mommy bloggers who have written posts about this very thing! Go find them and tag them for next summer if you haven’t already!